Selecting a suitable pair of training shoes should be your focus when you’re choosing what to wear for your first gym session. You ask why? Well, first of all, your feet will be secure and protected from potential injuries – that’s a fact. Secondly, good gym shoes will increase your comfort during the workout – when you will feel good, your performance will skyrocket! And finally, they add a finishing touch to your gym attire. You can choose from so many various patterns, colours and shapes of ladies gym trainers, that your outfit shall never be boring! How your new shoes should fit? Bad gym shoes are those which do not provide your feet proper stabilization and a certain level of comfort. Don’t ever wear them! By doing so, you are risking serious sports injury, which will stop you from working out for long weeks. If your training mainly consists of exercises with low weights, fitness shoes with obligatory flat sole will be sufficient. They have to fit like a glove – do not but buy them size too small or too big. Your feet should not be moving during the training. Also, we do not recommend running shoes for the gym, as their soles tend to be too soft for this kind of workout. 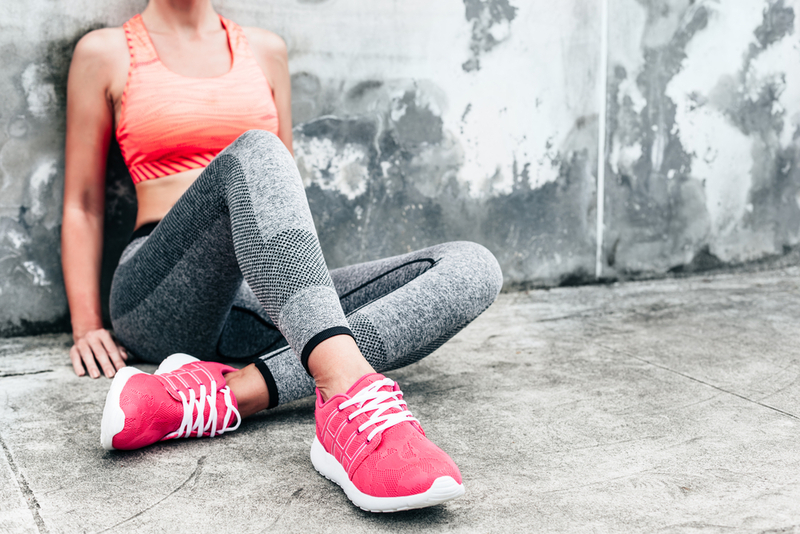 What are the most important features of workout shoes? Best gym shoes on the market have also a couple of other attributes, such as an upper from a high quality material (for example suede), leather heel cap, lightweight midsoles, or rubber padding over high-wear areas. All that provides excellent comfort and increased stability. Good workout shoes or fitness shoes are definitely an investment piece, but don’t worry – they will last you for long years. Those high-quality ones are very, very durable – even when you’re working out a couple of times per week, you would not be needing a replacement any time soon. Whether your workout is rather gentle, or you prefer heavy weights, please remember about your feet – take care of them by wearing proper training shoes, destined to be worn at the gym. Pick your favourite women’s gym trainers from a wide array available online. Then put on your new gym shoes and show up at your training in style!